The family of a labourer who died in industrial machinery may never know how he died, a coroner has said. 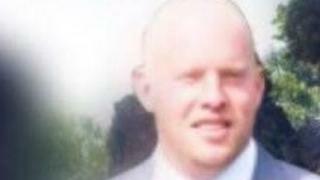 David Willis, 30, from Tipton, West Midlands, was reported missing by his mother after failing to return home from his work in September. A landfill site was searched afterwards but his remains were never found. His inquest heard on Thursday his cause of death was "unascertainable" and various criminal charges are being considered by West Midlands Police. Det Insp Jim Colclough said Mr Willis was reported missing by his family on 17 September and inquiries centred on Timmins Waste in Manders Road, Wolverhampton. Reviews of CCTV led to an investigation being launched. "Regrettably, early inquiries were that Mr Wills had entered industrial machinery... and material from that machine had been removed the next day and taken to Poplars Landfill Site, Cannock," he said. "An extensive search took place there for well over two months, and regrettably those remains were not recovered at that site." No-one has been arrested but one employee has been interviewed under caution, Mr Colclough said. Some items were recovered from the landfill site that are still being tested for Mr Willis' DNA. Mr Colclough said the officers continue to work with the Health and Safety Executive and criminal offences are being considered, which include gross negligence and manslaughter and corporate manslaughter. Black Country Coroner Zafar Siddique informed Mr Willis' family who attended the hearing in Oldbury that his cause of death will be unascertainable. He suspended the inquest at the request of police "pending the outcome of criminal investigations".